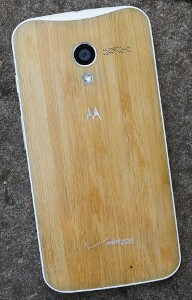 Motorola Moto X+1 is getting leaked very often but this time it's rumored to be launched at Verizon on September 25th by some unnamed sources around the internet. However, it's launch should not be long for other countries. Motorola officially said that we will be seeing successor of Moto X by end of summer which ends on September 22nd but it's close enough and it's also possible for it to be launched before the above mentioned date or maybe after it. It's not confirmed officially but we can expect it to be unveiled at any date around it. It's not only Verzion device. So, there will be also other sellers around to sell it before Verizon. There's nothing new to be known about the device as we already know about it's specifications (not full though). It's also possible for Moto 360 to be launched alongside of the device but the source didn't mentioned a thing about it as nothing can be predicted about future. Coming to specifications, Moto X+1 is said to feature 5.2 inch 1080p display, 12 MP Rear camera, powered by Qualcomm Snapdragon 801 chipset clocked at 2.5 GHz with 2GB of RAM and juiced up by 2,900 mAh battery.